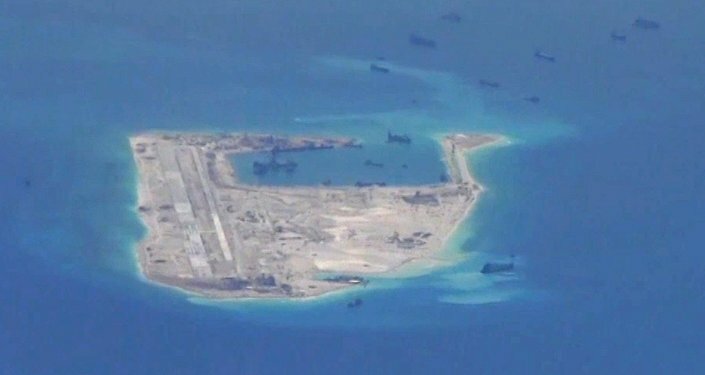 A US Navy warship has conducted a freedom of navigation operation in South China Sea to demonstrate that Washington doesn't recognize China's maritime claims in the region. WASHINGTON (Sputnik) — USS Dewey, a US Navy guided-missile destroyer conducted a freedom of navigation operation in the South China Sea designed to challenge Beijing’s maritime claims, media reported citing unnamed officials. It was the first such patrol since October and the first one conducted under President Donald Trump, the Wall Street Journal said on Wednesday. A freedom of navigation patrol, by definition, must take place within 12 nautical miles of territorial waters, the report explained. The report added, however, that a Pentagon spokesman declined to comment on the operation, claiming the United States operates in accordance with international law.